There are moments that are perfect. I sleepily made my way to the table after a summertime afternoon nap. Dinner was tacos with fresh salsa. 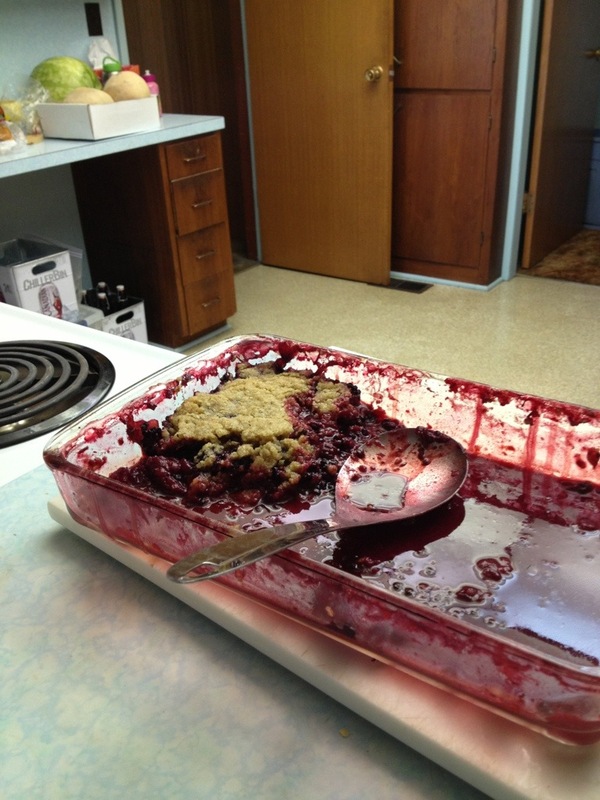 Dessert was blackberry and apple crisp. Not just any crisp, but one made from wild tart blackberries and tree fresh transparent apples. The crust was made by an Oma who no longer needs a recipe. It was warm from the oven with a scoop of vanilla ice cream melting on top. Can you believe there was any left?